of functions that help your office function as efficiently as possible. 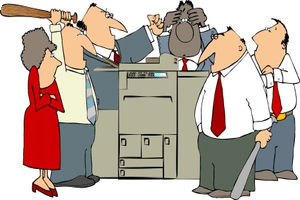 It can be a real problem if your office copier breaks down, so it is very important that you be able to service this machine as effectively as possible. 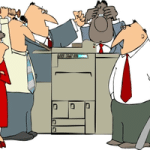 There are a lot of different ways to keep your copier serviced. One option is to have an employee on staff who is familiar with the copier that your office has, but this can become an expensive option because you have to hire another person. Another way to go about it is to have a company that services copiers which you can establish a relationship with and can count on being able to respond to your needs promptly, and who will do what your machine needs. It is also a good idea to try and have a service contract set up for when you buy the copier. This ensures that you will always be able to get help when your copier has problems. If your Denver area company has any copier needs, please give us a call at 3035867704 and we would love to have the opportunity to work with your business.